Home ownership is one of life's most coveted entitlements. It represents a savings and investment milestone for each buyer, who may spend years working toward a down payment. But it is also a personal measure of success for those seeking stability and security for their families. For many, buying a home is a once-in-a-lifetime experience. But even those who do buy multiple properties probably only go through the process a few times during their lives. Buying a home is a challenge, to be sure, requiring patience, discipline and attention to detail. And while real estate transactions pose similar trials each time around, there is one group of home-buyers with a unique perspective on the process. First-time buyers face the same challenges experienced homeowners do, but without the benefit of previous success. House hunting, vetting homes, negotiating with buyers and closing a property purchase are nuanced undertakings, which play-out best for those familiar with the territory. First-timers are in uncharted waters from start to finish, so their experience is wrought with uncertainty, especially when compared to seasoned home-buyers who've already been through the drill. Even before finding funding or measuring the feasibility of a purchase, many would-be buyers become passionate about the prospect of owning a home. Unfortunately, the dream ends prematurely for some interested buyers, when their financing hopes are dashed by poor credit, low earnings, or insufficient cash-on-hand to cover a down payment. While it doesn't hurt to look at properties for a future purchase, a serious house hunt starts with an inquiry at your bank, credit union or mortgage brokerage. Without adequate financing your quest is thwarted, so landing funding is an essential first step toward home ownership. The following table highlights current mortgage rates in your area. The price of homes prohibits most buyers from paying cash, so alternative financing is generally required to buy a house. 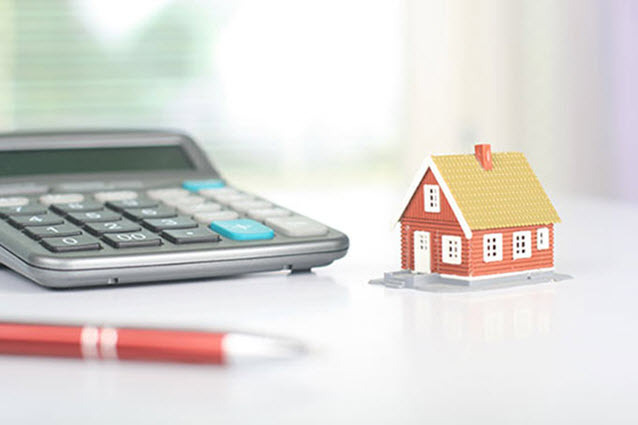 Depending upon the property you select and the terms of your mortgage, you'll still need a sizable sum of liquid capital to initiate a property purchase. Ten to twenty-five percent is a common down payment threshold, based on the type of property, lender policies and your credit history. Some government programs from the Federal Housing Administration (FHA), the U.S. Department of Veteran Affairs (VA), and the U.S. Department of Agriculture (USDA) may allow lower down payments for those who qualify. Fannie Mae and Freddie Mac back some home loans with as little as 3% down. Other money-saving options include HUD 203(k) loans, energy efficient mortgages and the Good Neighbor Next Door program. Lenders rely on credit reporting agencies to help manage mortgage risk. Three major agencies report prior credit interactions and offer details about each individual's financial past. The data is distilled to a score, which represents a subject's rating in the eyes of a particular credit company. Scores vary between agencies, because each credit watchdog applies its own metrics evaluating things like payment history, outstanding balances, types of credit used and other factors. Ultimately, however, ratings reflect similar criteria, so your credit numbers will be consistent across all three assessments. The best interest rates and mortgage terms are reserved for those with high credit scores. A solid financial track-record predicts a strong likelihood of repayment, so there is less risk present for lenders extending financing to a well-qualified applicant. Lower interest rates and closing costs are your well-deserved rewards for a history of timely repayment and prudent financial management. It is never too early to begin building credit and it should be protected over time, to illustrate your consistency meeting financial obligations. People with bad credit may not qualify for funding, or may require a higher rate of interest and a larger down payment to offset the higher risk of default. Given the term and size of home loans, it makes sense to improve your credit score before seeking funding. Comfort – The key to a successful purchase is matching a home's features to your needs. First-time home-buyers occasionally overlook some of the basics, only to find they've made ill-advised choices. Before comparing properties for sale, craft a list of personal priorities and lifestyle necessities you expect to accommodate. Rule out homes that don't measure up, staying true to your list of needs. If the number of bedrooms, garage availability, or the size of the yard is not negotiable to you, don't sacrifice needed features during the search. Consider the floorplan too, especially if there are young children or elderly family members in the household. Proximity – Convenience is measured by a home's nearness to transportation networks, like freeway ramps and main local thoroughfares. But individuals must also measure the logistical efficiency of prospective purchases, ensuring their day-to-day routines are not jeopardized by homes' locations. Parks and Recreation – Communities are measured by the amenities presented to residents, which include parks, playgrounds, municipal recreation centers, swimming pools, community gymnasiums and other facilities. A widespread local recreation network adds value to a home, giving buyers another reason to seek property in the area. Not only do owners benefit as residents of the community, but parks and other resources also buoy property values, so resale is positively influenced by the presence of local recreation opportunities. Amenities – Beyond pure functionality, buyers seek homes outfitted with appealing amenities. In the case of older homes, for instance, those with updated bathrooms and kitchens are equipped with modern fixtures and appliances. Guest quarters are also important to many first-time buyers, as well multiple bathrooms, which accommodate young families. And natural fireplaces are sought-after amenities for some buyers, while others appreciate in-ground pools and garden sheds. Entertainment – First-time home-buyers are particularly sensitive to local entertainment resources. Local theaters, restaurants and clubs make certain areas more desirable, which draws younger first-timers to particular homes. Shopping options furnish another sought-after local resource, so access to malls and retail districts is another concern measured by many first-time buyers. Inexperienced home buyers rely on experienced guidance navigating the real estate market. Real estate agents and brokers, for instance, are valuable resources for buyers and sellers, serving as the conduit connecting everyone involved in a real estate transaction. Using your criteria, agents find property listings matching your needs and conduct showings at properties of interest. Your early legwork and reflection help agents refine the search for suitable homes, so research pays off as access to prime listings and pinpoint efficiency finding homes in your comfort zone. In some cases, realtors specialize in particular types of property, further enhancing your selective search. In addition to consultation from real estate professionals, modern house hunters have access to real-time resources unavailable just a few years ago. Web-based MLS listing sites, for example, are sponsored by realty offices and other professional organizations, so would-be homeowners in most parts of the country have comprehensive local listings at their fingertips. For Sale by Owner (FSBO) properties represent a significant share of the seller's market, so they should be explored as part of your search. Craigslist and other online selling services feature FSBO opportunities, as well as organizations dedicated to promoting self-represented properties. Use these and other resources to round out your agent representative's efforts. First-time home buyers wear many hats. After establishing a credit line and assessing the local real estate market, they ultimately settle on prospects and prepare their bids. The role of negotiator is naturally unfamiliar to unindoctrinated first-timers, who once again turn to real estate professionals for their experienced recommendations. Depending upon market conditions and a home's desirability, some circumstances warrant high bids, near the asking price. In other cases, homes are brought to market with inflated asking prices, so your actual offer may fall far below what is asked for a given home. Top agents are familiar with local trends, so they are on the mark predicting how long a home will be available, its approximate sale price, and the level of flexibility typical seen from sellers during negotiations. By studying comparable local sales and their pricing history, skilled real estate agents quickly arrive at reasonable offers. Though it may not be accepted, your opening offer sets the stage for negotiation and validates your interest in the property. It is also the case that established broker representatives have preexisting relationships with local seller agents, so deals are frequently negotiated between real estate professionals acquainted with one another. Prior to making an offer to buy, it is customary to have a property evaluated by a professional home inspector. The cost of the service is paid by the buyer, so an inspection generally isn't ordered until a potential buyer is serious about a particular property. 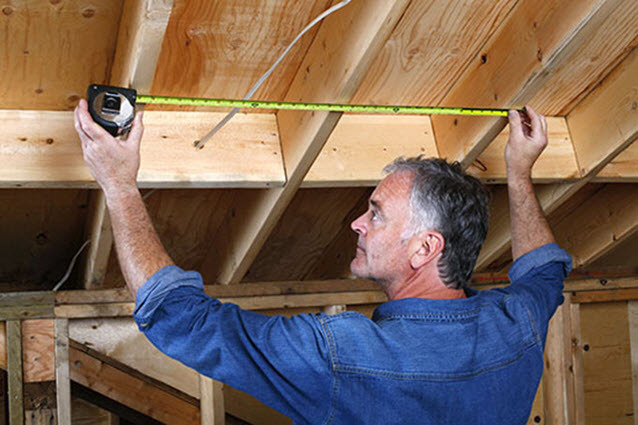 Home inspectors are trained in general building science and certified by states to conduct various forms of property assessments. They are not concerned with the value of a home or its asking price. Instead, inspections focus is a home's systems and construction quality. Several major systems operate simultaneously to create habitable homes. The roof system, for example, consists of plywood sheathing covered by tar paper and some form of shingling. Because removal and replacement are costly, the condition of a home's roof is an important consideration for buyers. Heating and cooling systems also rely on expensive components to function properly, so home inspectors test furnaces and air-conditioning units to ensure they are operating as expected. Whenever possible, inspectors also note the age of heating and cooling appliances. They cannot predict how long equipment and structures will last, but by rating age and condition, home inspectors help buyers avoid major surprise expenses. Inspection reports identify each feature of a building, explaining its function, condition, age and other observable characteristics. In addition to knowledge and understanding, written reports are used as bargaining chips during the negotiation process. Say, for instance, a home inspection uncovers leaky pipes. A buyer may still be interested in the property, but the new information provided by home inspection sets the stage for further negotiations. An amended offer, for instance, accounts for the cost of repairs with a lower price. Alternatively, buyers can request repairs or updates be completed, as part of their offer. Once an inspection has been conducted and deficiencies found, sellers either agree to further negotiations, or stand firm on the conditions of the original offer. Likewise, since most offers to buy real estate are contingent upon satisfactory inspection results, buyers also have an opportunity to walk away from a deal based upon problems found during inspections. In practice, unless there are major issues, buyers and sellers are frequently able to find enough common ground to push deals forward. First-time buyers are well-advised not to become emotionally attached to a particular property before a thorough inspection has been conducted. Driven by their passion for a home, some buyers exercise poor judgement, proceeding with ill-advised purchases. It is also important to recognize home inspectors as generalists, capable of furnishing a broad snapshot of a home's essential systems. Specialized evaluations may also be required, from HVAC contractors, foundation specialists, roofers and other dedicated professionals equipped to accurately estimate the cost and scope of needed repairs. Finalizing a property sale involves a substantial flow of paperwork and coordination between buyer representatives, seller's agents, financing companies, municipal authorities and other interested parties. Though pre-qualified, your lender will require backup documentation for employment, income, investment holdings and other relevant financial information. In addition to taking a closer look at your financial standing, lenders also evaluate properties to establish what they are worth on the open market. The appraisal process ensures there is adequate collateral available to cover the loan you are seeking. In the event of default, a lender needs assurance selling the home will cover the outstanding debt. Like other aspects of real estate transactions, the appraisal process has undergone review and revision in the wake of the recent mortgage crisis. Bank-Owned – Bargain hunters cash in on foreclosed properties, which can often be purchased below market value. Buying a foreclosed home is more complicated than closing on a conventional purchase, so success requires patience and flexibility. First-time buyers benefit from the accessible price-points of foreclosed properties, which helps offset the extra trials of pursuing a foreclosed home. Distressed Property – Damaged properties also present significant value for some speculative buyers. House hunters with experience in trades or a background improving homes are good candidates for fixer-upper properties needing professional attention. Depending upon the condition of a home, extra documentation and coordination with municipal code enforcement agencies may be required before a deal can move forward. Estate Sale – Transferring ownership from an estate is essentially the same as conveying a sale between individuals, but the process can lead to closing delays. First-time buyers count on experienced agents and financial representatives to ensure titles are clear and deals flow smoothly. Rental Property – One of the ways first-time home buyers offset costs is to purchase property that includes rental space. A duplex or other multi-unit property creates cash flow from tenants, which can be applied to reduce owners' out-of-pocket mortgage costs. In many localities, special regulations apply to sales intended for rental. In fact, some cities require inspections at the time of sale, to ensure properties meet established standards for safety, weatherization, cosmetic integrity and other qualifications. For Sale by Owner – Some sellers choose to represent themselves during real estate transactions, rather than hiring an agent. The burden is generally theirs meeting local rules and regulations concerning the sale, but when buying a self-represented property, you should understand the implications. A reputable real estate attorney in your area is up-to-date concerning local practices, and can advise you about requirements in your locality. An official closing is generally held weeks after the initial offer to buy is made. There are exceptions, which involve fast tracked property transfers, but the standard process takes time to orchestrate. Ultimately, when everything falls into place, buyers and sellers convene with legal representation and documentation sufficient to close a deal. Keys and checks are exchanged and first-time buyers become homeowners. Buying a home is a complex process, requiring would-be owners to wear many hats. Though first-timers are unfamiliar with real estate dealings, they stare down many of the same concerns facing seasoned home owners. For most buyers, the best approach is to first wrap-up financing commitments, before embarking on a property search. Once pre-approved for funding, making a list of must-have home features refines the search for suitable housing and gives real estate agents the tools they need to find prospects. In addition to connecting buyers with listed properties, agent/partners are invaluable negotiators, helping first-time buyers strike reasonable deals with sellers. With proper planning, organization and professional help, most first-time buyers have no problem joining the ranks of home owners.